5/05: The RX400h arrives, powered by a 3.3-litre V6 petrol engine combined with an electric motor to give 208bhp. 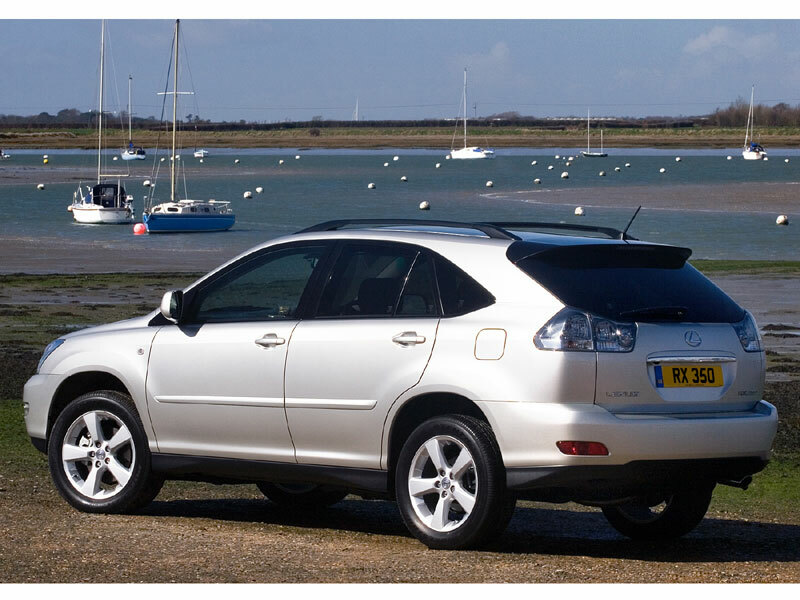 4/06: A conventional petrol-powered RX joins the range; the 3.5-litre RX350. 4/07: An SR high-spec edition of the RX400h is introduced. 10/07: A facelift brings more exterior brightwork, a revised wheel design and a new radiator grille. If the air-con isn't switched off manually before the ignition is switched off, the battery can go flat in less than an hour. Don't buy one for its congestion charge-exempt status; since early 2008 the RX has not been eligible. Lexus launched a hybrid RX primarily for the extra performance available, rather than for ultimate economy. If you're hoping for genuine frugality, you're still probably better off going for a conventional diesel. The integrated hands-free phone can prove problematic to set up; even Lexus dealers have been known to be thwarted. The rear bumper tends to get scuffed when the car is unloaded and unloaded.